Critics say the board tasked with reviewing San Diego Police officer misconduct cases has not earned the public’s trust and more reform is needed on the November ballot. NBC 7 Investigates' Mackenzie Maynard reports on why it's taken so long to reform San Diego Police Oversight. “People in the community simply do not trust the CRB [citizen review board] process,” Katie Yavenditti with Women Occupy San Diego said before the city’s Rules Committee on Wednesday. Yavenditti is talking about Community Review Board on Police Practices, formerly known as the Citizens Review Board, the organization tasked with reviewing complaints raised against officers in the San Diego Police Department. NBC 7 Investigates has been tracking the city’s review board since 2015. Our stories revealed problems with the public’s perception of the board, grounded in how the board is viewed as an arm of the police to certain members of the public. More than two years ago, Women Occupy San Diego and former board members raised questions about how police complaints were handled and what appeared to be a conflict-of-interest in 2015, centered around the city attorney providing legal advice to the board while providing legal counsel to the city when sued over a San Diego Police Officer’s conduct. One year later, Measure G was approved with 83-percent of the vote, amending the city charter and requiring the board to review all officer-involved-shootings and in-custody deaths. 16-months later, NBC 7 Investigates has learned not all of those voter-approved changes are in place. On Wednesday, Arian Collins, a Senior Public Information Officer for the city of San Diego, said the city is still trying to figure out how to implement the changes approved by voters. In an email, Collins said six public hearings have been held to solicit ideas from stakeholders about Measure G.
“On March 7, 2018, the Rules Committee approved a draft implementing ordinance and Standard Operating Procedures (SOP) and directed the City Attorney to write the ordinance and SOP for consideration by full City Council,” Collins said. In that proposed draft are how to audit what is called “Category II” complaints. “Category II” complaints are investigated by the command where the officer works and includes things like police procedures, courtesy, service, and conduct. “Category I” complaints are more serious, including improper arrest, excessive force, discrimination, criminal conduct. These complaints are investigated by the San Diego Police Department’s Internal Affairs division and now, the Review Board. Beginning last December, the city said Attorneys Devaney, Pate, Morris & Cameron, LLP have been advising the Community Review Board. To date, the board has received seven legal opinions and legal advice on one case. Since December, Collins confirmed the San Diego City Attorney’s office has not been involved in any legal discussions with the Community Review Board, involving the cases before it. It’s still unclear how much money it would cost to use outside counsel all the time. NBC 7 Investigates has confirmed in the fiscal year 2017, the Community Review Board investigated 54 cases. So far in the fiscal year 2018, the board has investigated 30 cases. On Wednesday, Women Occupy San Diego asked the city’s Rules Committee for more reform, including making the board fully independent, not a city board. Advocates said they want the commission to have the power to review all complaints against officers, subpoena powers, a budget to pay for outside legal counsel and the board’s own independent investigators. 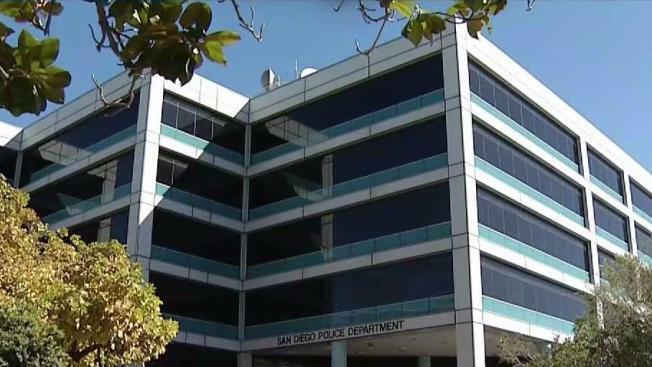 The group feels the board’s investigators should have access to all police records, within state and federal guidelines, including records pertaining to the discipline of San Diego Police Officers as well as allegations of sexual or physical assault. The new changes proposed by Women Occupy San Diego would have to be approved by voters in this upcoming November election. On Wednesday, the city’s Rules Committee said they will consider the changes asked for but first, the San Diego Police Chief David Nisleit, the San Diego Police Officers Association, and the Community Review Board would all have to weigh in. This would all have to happen by June 6, in order to make it on November’s ballot.